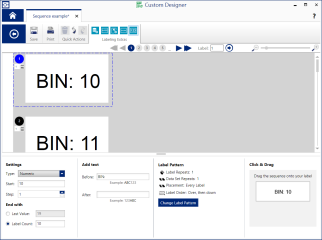 With the Sequence add-on module, you can create a separate label for each value in a numeric or alphanumeric sequence. The sequence is defined by setting the starting number, total number of labels and increment interval. 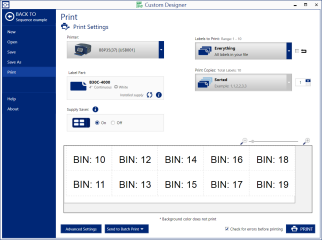 It works with Custom Designer, Custom Designer Lite, Text Labels and Print Partner apps. Supports new Patch Panel app.